Ice in Greenland is melting partly because of heat from the Earth's mantle, according to a team of international researchers.The group claims that they are the first to find a connection between melting of the Greenland ice sheet and the high heat flow from the Earth’s mantle.The findings, they suggest, could have implications for future predictions on climate change and the reasons behind ice melt in the region. The Greenland ice sheet is often considered an important contributor to future global sea-level rise over the next century or longer. In total, it contains an amount of ice that would lead to a rise of global sea level by more than seven metres, if completely melted. The ice loss from the ice sheet has been increasing over the last decade, with half of it attributed to changes in surface conditions with the remainder due to increased iceberg calving - the process by which ice detaches from the glacier to become an iceberg. The international research initiative IceGeoHeat, led by the GFZ German Research Centre for Geosciences, said that the effect of the Earth's crust and upper mantle in current climate modelling are too simplistic. They modelled the Earth's mantle against the ice sheet and found that melting occurs in a given area due to the composition of the mantle underneath it. Writing in the current online issue of Nature Geoscience, the group argues that this effect cannot be neglected when putting together data on climate change. The Greenland ice sheet loses about 227 gigatonnes of ice per year and contributes about 0.7 millimeters to the currently observed mean sea level change of about 3 mm per year. The team point out, however, that existing model calculations were based on a consideration of the ice cap. GFZ scientists Alexey Petrunin and Irina Rogozhina have now combined earlier ice and climate models with their new thermo-mechanical model for the Greenland lithosphere. 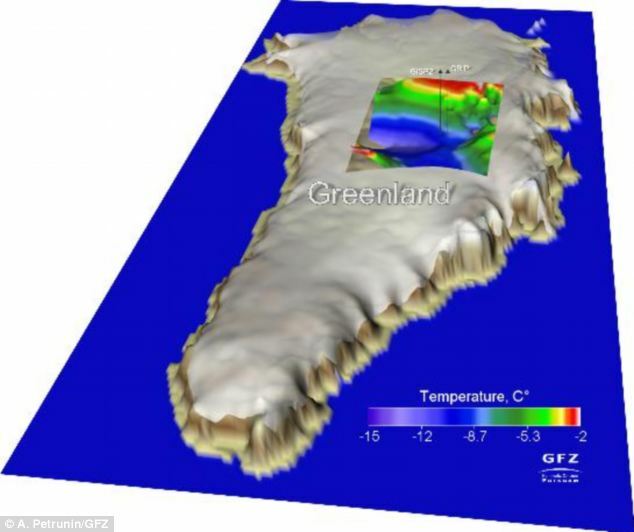 ‘We have run the model over a simulated period of three million years, and taken into account measurements from ice cores and independent magnetic and seismic data’, said Petrunin. 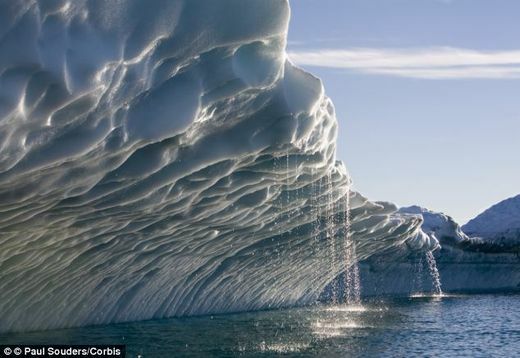 ‘The temperature at the base of the ice, and therefore the current dynamics of the Greenland ice sheet is the result of the interaction between the heat flow from the earth's interior and the temperature changes associated with glacial cycles,’ said Irina Rogozhina who initiated IceGeoHeat. The current climate is influenced by processes that go far back into the history of Earth: the Greenland lithosphere is 2.8 to 1.7 billion years old and is only about 70 to 80 km thick under Central Greenland. 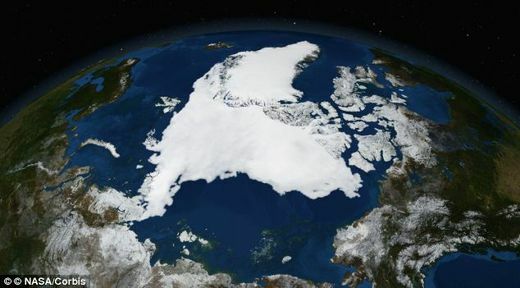 The researchers believe that the coupling of models of ice dynamics with thermo-mechanical models of the solid earth allows a more accurate view of the processes that are melting the Greenland ice.